Orange County deputies pulled the driver of a silver Toyota 4 Runner near the intersection of Texas Avenue and Roberts Avenue after watching him commit multiple traffic violations about 2:38 p.m. Saturday, March 23. 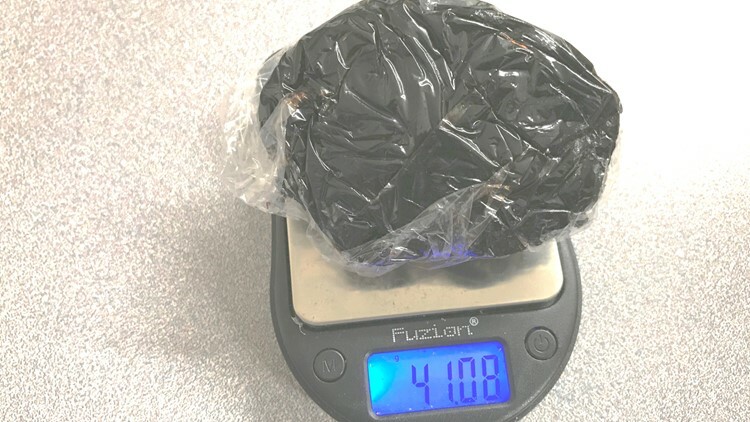 BRIDGE CITY, Texas — Orange County Sheriff's investigators arrested a man with over 40 grams of a substance they believe is black tar heroin on Saturday afternoon. Deputies pulled the driver of a silver Toyota 4 Runner near the intersection of Texas Avenue and Roberts Avenue in Bridge City after watching him commit multiple traffic violations about 2:38 p.m. Saturday, March 23. The traffic violations led to his arrest, Detective Janois Grizzaffi said in a news release. While doing an inventory of the vehicle, investigators found about 43 grams of a black tar substance. Howard Jay Schab, 61, of Bridge City, was charged with traffic violations and possession of a controlled substance, which is a second degree felony. His bond will be set when he is arraigned.